Inkubus Sukkubus are a British goth and pagan band, formed in 1989 by Candia Ridley, Tony McKormack, and Adam Henderson, who have been described as one of the most enduringly popular underground Goth bands in the UK. Inkubus Sukkubus have released albums and toured the UK and internationally ever since their formation as Incubus Succubus in 1989. In 1995, they changed their name to Inkubus Sukkubus, citing numerological reasons, and signed to Resurrection Records. The live line-up changed significantly, adopting the use of a drum machine and sequenced backing, with some additional support by a bodhrán, and Adam Henderson moving back to bass. In 1996, the band appeared live on UK national television on Channel 4's "The Big Breakfast", performing the track "Heartbeat Of The Earth". The band have played many of the major European dark alternative festivals including Amphi, M'era Luna, and the Wave-Gotik-Treffen at Leipzig. Inkubus Sukkubus were due to play a gig in Mexico City on Beltane (1 May) 2009. When it was cancelled due to the outbreak of swine flu, the band received national media exposure, particularly through The Sun newspaper. The group currently consists of guitarist Tony McKormack, vocalist Candia McKormack and bassist Dave Saunders. The band uses a drum machine and sequencer to provide percussion and orchestral backing. In 2013, Candia was the model for a painting called "The Sukkubus" by award winning fantasy artist, Larry Elmore for use in his Kickstarter." Pre-order edition was autographed by Candia and Tony, and shipped in a rustic burlap bag, with a stamped tag. This CD features previously released material, new material, and new mixes. Pre-orders came in a limited edition burlap bag. They were also signed by Candia and Tony. In 1997 Inkubus Sukkubus released the album entitled “Vampyre Erotica”, the album was to see the band propel themselves, once again, to a higher level. “Vampyre Erotica” contained many of the bands most popular tracks, including “Heart of Lilith”, “All Along the Crooked Way”, “Vampyre Erotica” and “Sweet Morpheus”. 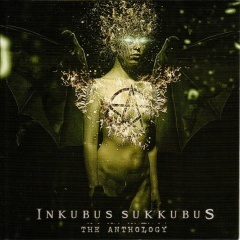 The Album represented on of the many aspects of the multifaceted Inkubus Sukkubus, and led the listener into a decadent universe of dark romantic lust. The album heavily influenced by the “Hammer Horror” films of the late 1950s and early 1960s which portrayed the vampire as a beautiful, sexual and yet, tragic being. The location for the story was always a fictional hyper –Bohemia, and then to the melting pot was added a hint of sadomasochism, a pinch of humour and an ample serving of cleavage. With their new album “Vampire Queen”, Inkubus Sukkubus once again visit the Vampire Realm. The Vampire Realm which is dark but not aphotic. It is a domain full of sensual passion, the dead resurrected, supernatural temptation and all of it in vibrant Technicolor. The band once again explore the sexual vampire in “Bathory”, “Vampire Queen” and “Angel of Lust”, the dark romance continues with “Let the Night Last Forever” and “In the Darkness and the Rain” but then move on to a medieval apocalyptic nightmare with “Here Come the Dead” which chronicles the plague of revenants of the middle ages, the band continue to traverse this Brugelesque and dreadful landscape with “Angelus Mortis” which sees the Angel of Death cutting a swathe through humanity as the Black Death. The Band eventually returns to slightly more familiar territory with “Nature Child” and “Wolf Boy”, but not before passing through a shady netherworld for “Dancing the Night Away”. All in all, “Vampire Queen” is essentially a return, not only to the Vampire Realm but also to the familiar Inkubus Sukkubus heavier Rocky style for which the band is best known. “Vampire Queen is a delight of Glamour Horror.